From musical performance yesterday to dancing today. 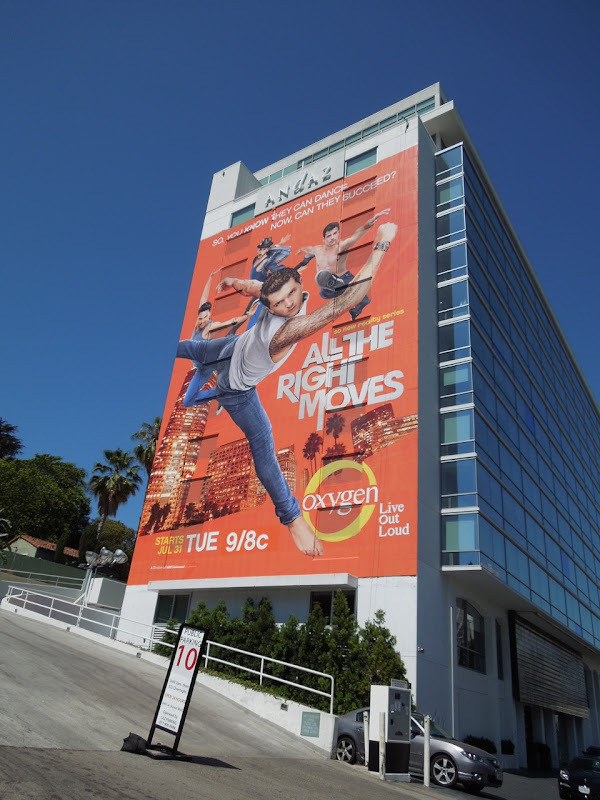 Even though All The Right Moves sounds like some romantic comedy movie, this super-sized billboard does the job of letting you know that Oxygen's new reality show is all about dance and having the right moves. This new series follows Travis Wall, a former So You Think You Can Dance season two competitor and current Emmy-nominated choreographer for the talent show, and three of his closest friends as they launch the dance company, Shaping Sound. 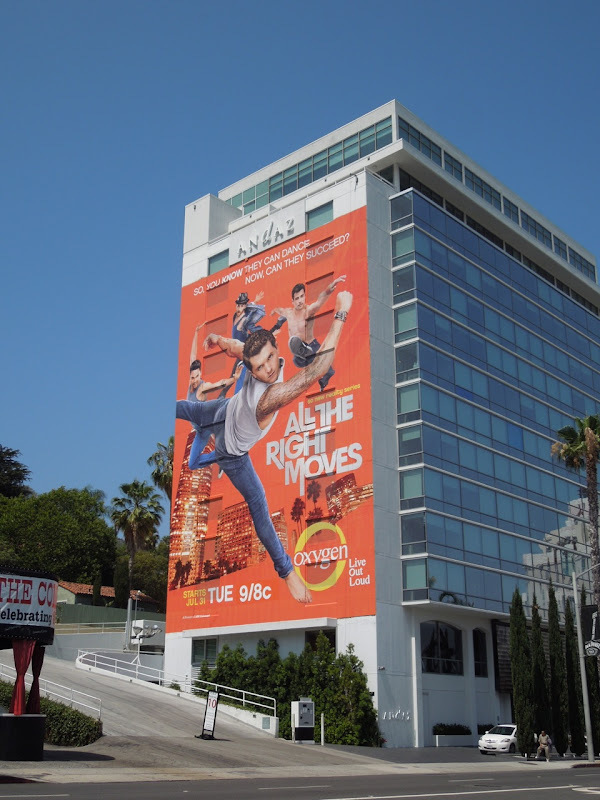 This giant, eye-catching orange billboard featuring Travis, Teddy Forance, SYTYCD season one winner Nick Lazzarini and Kyle Robinson was snapped along Sunset Boulevard on the side of the Andaz Hotel in West Hollywood on July 5, 2012.